According to him, the relationship between Europe and Africa should be strong due to their close geographical relationship. 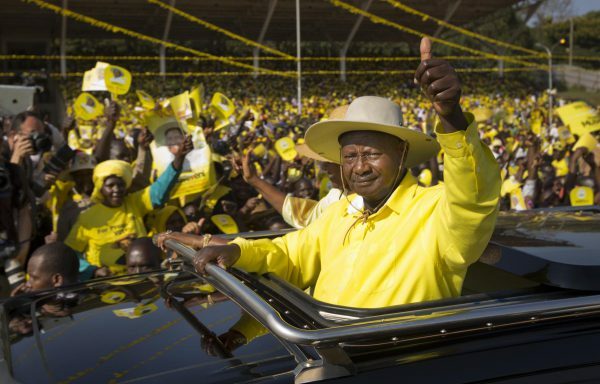 Ugandan President Yoweri Museveni has assured the European Union (EU) that peace in the entire East African region would prevail as member countries’ leadership continue to strengthen their working relationship, reported the Daily Monitor on Monday. “Peace in the region is getting better. Part of the problem in the region, South Sudan and Burundi, was because we have not been working together. That was the source of the problem,” said Museveni. Referring to Burundi, the president said no fresh fighting had broken out and that its government was working more closely with its regional counterparts as was shown during the recent East African Community summit in Arusha, Tanzania. According to Museveni, the relationship between Europe and Africa should be strong due to their close geographical relationship and the need for cooperation on matters of substance. The president also thanked the EU for its support in regard to Uganda’s development and trade which was growing due to the removal of development bottlenecks and the development of railway, electricity, digital, and utility infrastructure. On Saturday, ahead on the sidelines of the AU summit, the two presidents also discussed bilateral relations, joint integration projects between the two countries and South Sudan developing river transport by using the Nile as a link between the three countries.